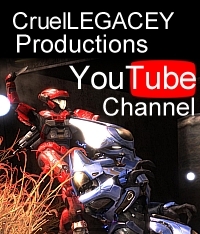 The premier of a new Halo Reach Machinima series from Nuclear Taco Productions. The beginning…..the beginning of a story that tells of a man, betrayed by his fellow countrymen, on a mission to sort out his life and what has become of it. Meeting acquaintances, adversaries, and allies along the way; this is going to be one hell of a ride.